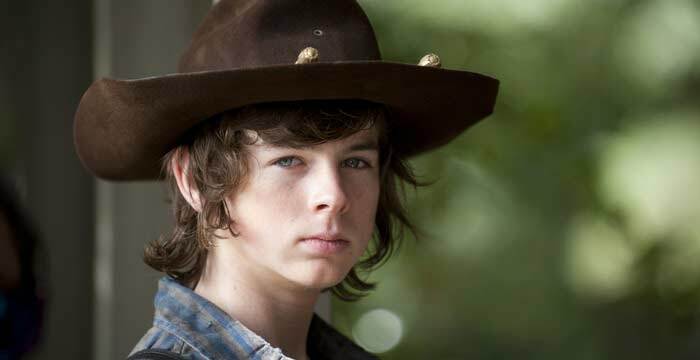 All fans of The Walking Dead have seen Carl hit puberty from a small innocent boy in season 1 to a tall serial killer. He survived a bullet from Season 2 and in season 6, he lost one of his eyeballs. But now, there are some hints even from his dad that Carl Grimes (Chandler Riggs) might be leaving his zombie home for 7 years. William Riggs, Chandler’s dad, posted on Instagram that his son’s 7-year contract with AMC series has already been fulfilled officially. Instead of giving us a hint the younger Riggs will be continuing his appearance on the said series, his dad included a hashtag (#freedom) on his post that keeps all fans talking about Carl’s remaining episodes in The Walking Dead series but there is still no assurance if he would make it again or not.